Volunteers are needed for upcoming promotional and fundraising events. 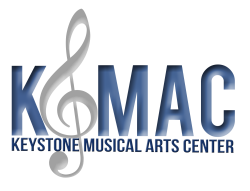 If you can help, email your availability to info@KeystoneMusicalArtsCenter.org. And if you have any questions, give us a call at 717-737-5622. More info on the Street of Treats event is on the Mechanicsburg Chamber of Commerce website. Help Needed: Sell coupon books. More info on how Community Days work is on the Bon-Ton website. If you can post some flyers, hand out brochures, work social media, or want to help in any way, please get in touch!